We are a 100% eco-friendly hotel. At Mas Salagros, we meet the standards established in European regulations on sustainability, which include building materials, energy efficiency and waste management. At Mas Salagros, you’ll find everything from eco-amenities to seasonal, local ingredients at the restaurant. 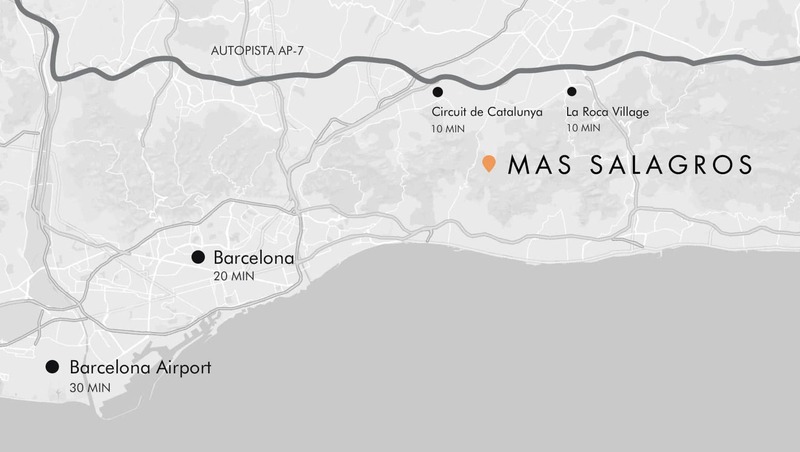 Mas Salagros is committed towards the environment, and to this end, it has adhered to Tesla Motors’ “Destination Charging” programme, whose objective is to afford our clients the opportunity of charging their vehicles while enjoying our slow philosophy. Come discover our tasting menu and 100% organic cuisine. Plus, you’ll enjoy the natural setting in great company. It will be quite the experience!